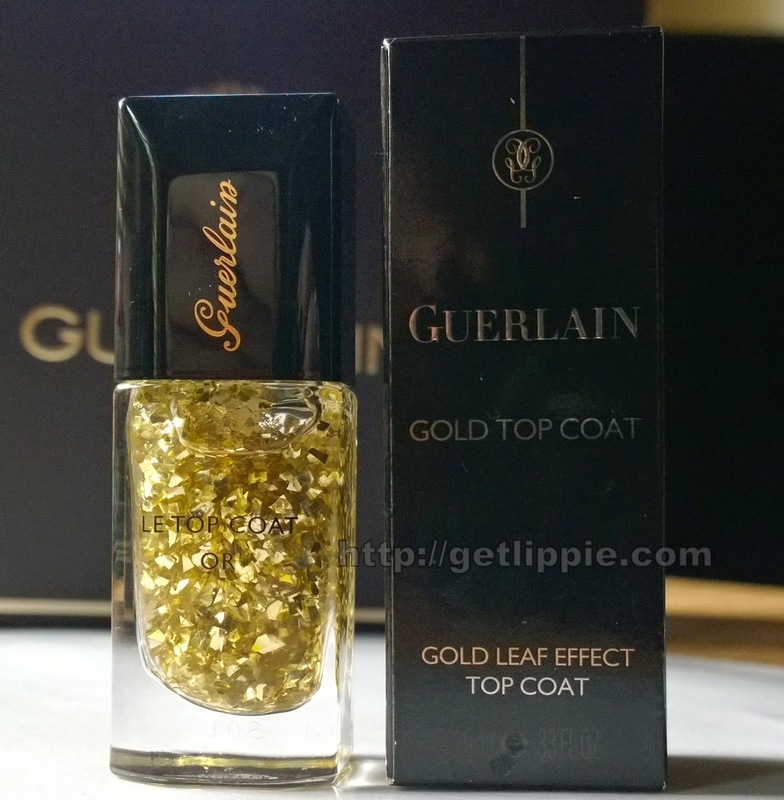 There’s been a nail polish in the last couple of Christmas collections from Guerlain, and this year is no exception. Last year we had the sublime Sulfurous which might just be one of my favourite nail polish colours ever. 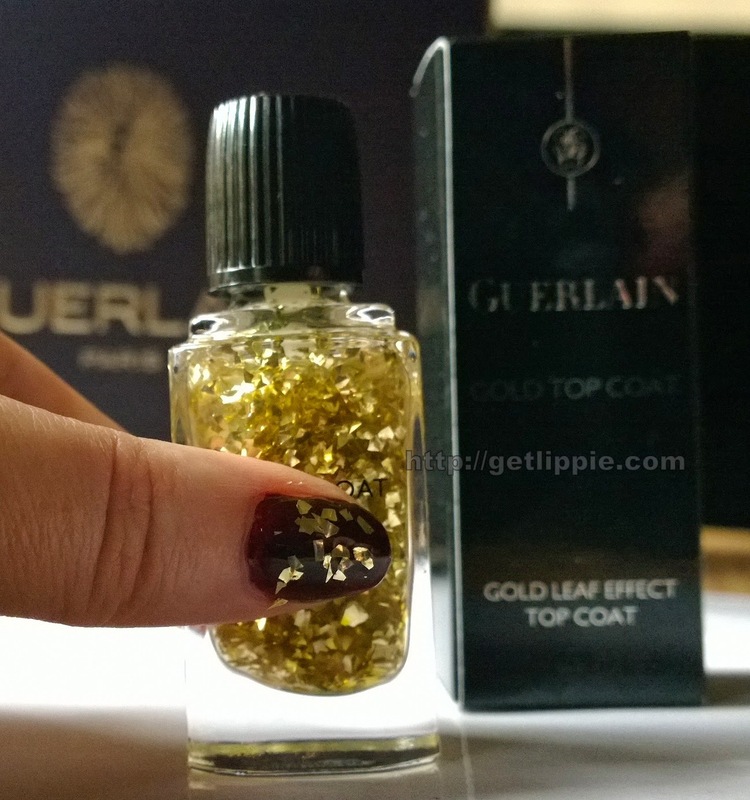 This year, there is a pale gold polish in Coque D’or, and this, a gold-leaf topcoat L’oiseau de Feu. 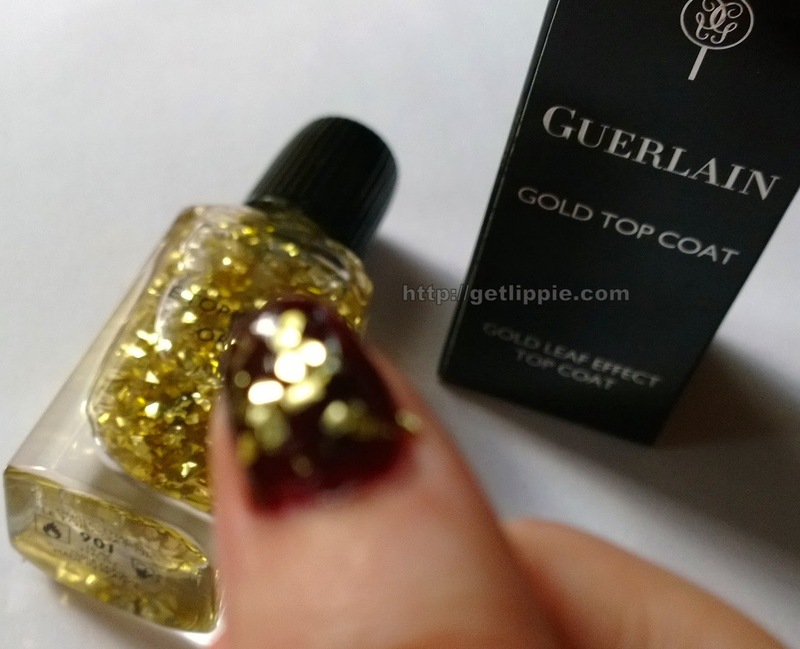 Now, straight off the bat, I’m going to come right out and say that I’m not really a fan of chunky polishes, or even glittery polishes at all come to that (bar glitter especially makes me feel a bit sick), and this is no real exception to that rule. However, if you’re a fan of this kind of thing, then it’s very nice. 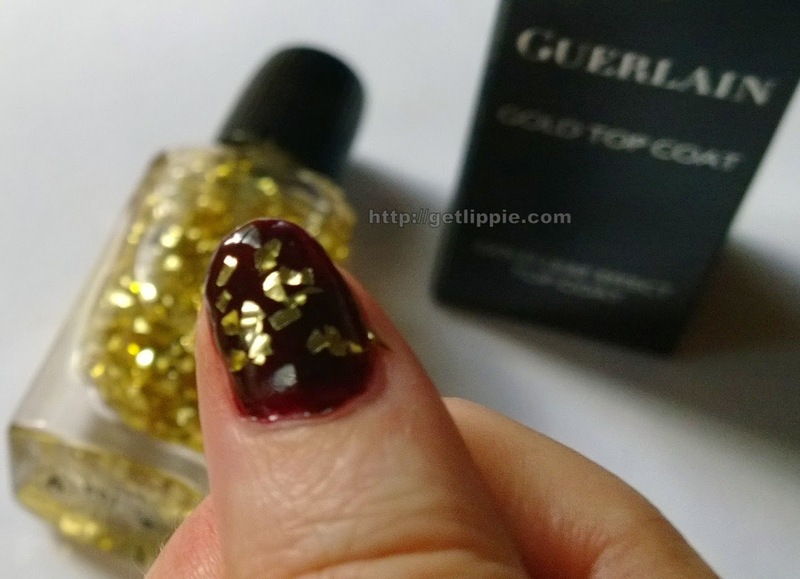 You have to dab the polish on thickly, then re-arrange the gold to your liking once it’s on the nail. I find it a bit rough, but the gold is a nice shade, and it dries quite quickly. Not a must-have for me, but it is pretty. What do you think of chunky polishes and glitter? The Fine Print: This week’s features are a mixture of personal purchases and PR Samples.